As a mum to four children, I go through my fair share of toiletries, you know the one shampoo and conditioner for all that long hair, bubble baths etc Not only that but three out of four my children and myself suffer from eczema so some of the products I purchase aren't the cheapest. 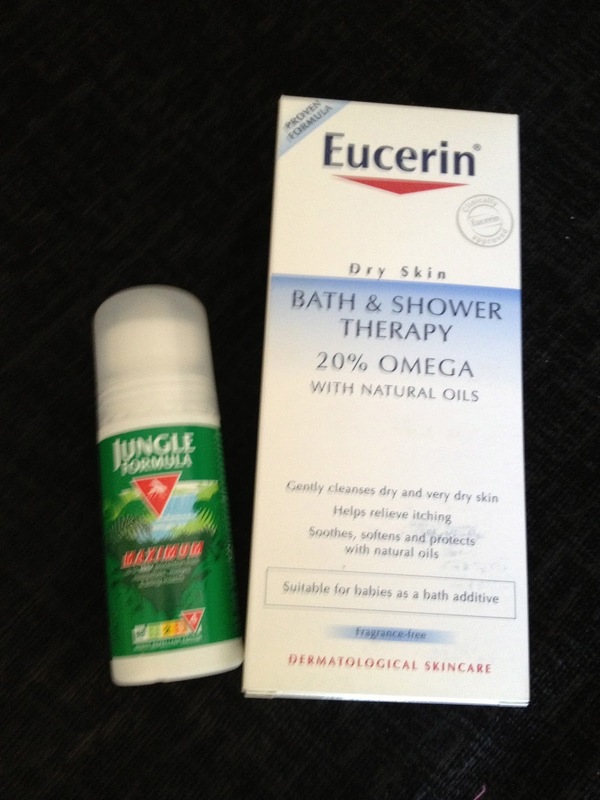 I was recently contacted by someone from Chemist Direct to see if I would like to review a couple of products from their site. For those of you that haven't heard of this site before, Chemist Direct is Europe's leading online chemist which provides over 20,000 health and beauty products and perscription medicines at the lowest guaranteed prices, this is very attractive to myself as any money saved really does help these days!! It is fully regulated by Uk government bodies and is even supervised by fully qualified pharmacists. 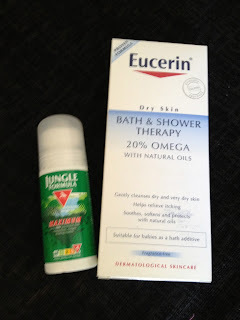 I was given the option to choose items myself, so I chose a couple of products relevant to myself and my family, Eucerin bath and shower therapy and Jungle insect repellant ready for our holiday abroad this year. Keep an eye on my blog for reviews of these products coming in the next couple of weeks. I love that there is live help on the site, so if you are struggling to find a certain product or unsure if a certain item is really suitable for you, you can get the answers you need quite quickly, no hassels. Chemist Direct offer free standard delivery for orders over £40 and charge £3.49 for orders under £40, this I think is a reasonable charge compared to other companies these days. Standard delivery can take between 1-5 days to reach you. You also have the option to pay £4.75 for next business day delivery through Parcel Force, again not overly expensive. I was really impressed with how fast my delivery arrived. It was sent through My Hermes and arrived packaged neatly and securely in a box, with no damage to the parcel. It took 3 days to arrive after ordering which isn't long to wait in my opinion. With Chemist Direct allowing you to get your perscriptions, toiletries etc all in one place, it is a great site to buy from especially if you struggle to get out and about to buy things in town or if you are like myself and kept busy with the kids, then you can get everything conviniently delivered straight to your door. It is one of those sites that I wish I had found sooner. Why not have a look yourself and see if you can find yourself a bargain!! Disclaimer : I was sent the products from chemist direct free of charge for reviewing puposes however all thoughts and opinions are my own.